4 Responses to Obamacare, Who’s Going to Pay for It? Very good article! As Obama pats himself on the back, a usual occurrence, the true costs and facts slowly ooze out. Isn’t it grand gloat about Medicaid enrollment increasing by 8.6 million people. Medicaid costs are borne by the individual states. ObamadoesntCare will give states a federal stipend for two years (using taxpayer money of course), thereafter states start bearing the full cost. What will individual states do when they see their state Medicaid budget expenses go from 21% to 30 or 35%? Will they raise taxes? and/or take budget dollars from other sources (say education)? 8 million times 70% = 5,600,000 avg $400 per month or $4,800 yr. The other dilemma we face – the left has had a fixation; we must insure the 15% of American people who are uninsured or 46,500,000. That means only 17% signed up the first round. Already taxpayer funded subsidies are already costing us $27 BILLION dollars per year, not including the cost to be inflicted upon on we taxpayers for Medicaid expansion. 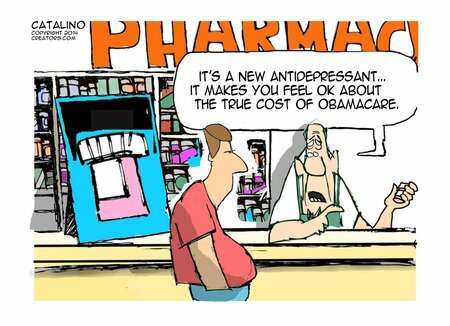 Well one thing an Obama presidency has insured – higher costs, higher taxes, bigger government and no relief in sight. Thanks Tom. An obvious ploy to pile on to the enrollment figures was to collude with big insurers to cancel over 3 million already privately insured and then add them back into the number of enrolled. I’m not sure there was collusion on the part of insurance companies with the government. We know the democratic party’s ObamadoesntCare bill is grossly flawed and a terrible piece of legislation. One of those flaws lead to the termination of perfectly fine group healthcare plans, under the guise of “not meeting ACA requirements”. I say Hogwash! When I look at existing group plans that were terminated, there is only one conclusion I could come up with – the radical transformation of America that Obama/Pelosi/Reid seek includes moving our healthcare system into a Single Payer, total government controlled Socialist system. You cannot tell me a plan with a $4,500 deductible followed by a $6,000 out of pocket expense, is better than a $1,000 deductible followed by 100% coverage, $1,000 total out of pocket expense. If it were not for taxpayer funded subsidies, you’d be surprised at the pricing of that terminated group plan. Insurance companies were compelled by ObamadoesntCare to terminate existing healthcare plans that “did not meet ACA” guidelines or as Nancy Pelosi & Obama stated – they were lousy plans. Obama and the democratic party put in turmoil, a healthcare delivery system that covered 85% of Americans to appease 15% of the uninsured. 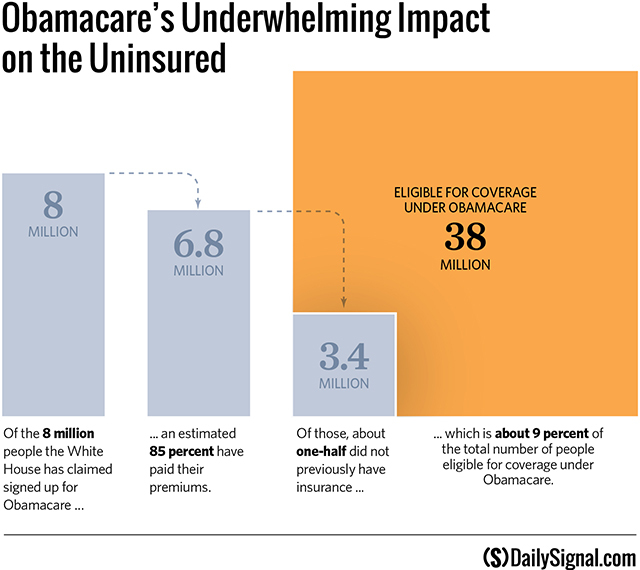 What is the result so far, with the roll out of ObamadoesntCare – Those 15% uninsured – well 83% are still uninsured. Since Obama has a propensity for cooking the books the uninsured number could be even higher. Certainly the government knew they could count those who were cancelled and signed up for the ADCA (ObamaDoesn’tCareAct) in their numbers. Initially I thought the big insurers were cancelling the policies to torpedo the ADCA. After hearing the WH using the reinsurance numbers in their signature achievement, the ADCA, I began to think this was the plan all along, especially since the big insurers acted so quickly and lowered the boom not only on their customers but their agents as well. See the post directly above this one by Dr. Kris Held. Dr. Held is fighting with big insurers as well as wrestling with Obamacare. A different perspective. Maybe the word collusion is too strong, but there are some doctors who are none too happy with them.